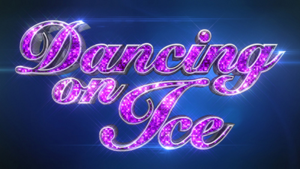 The Dancing on Ice competition is a television contest aired on the UK itv television channel which has proved extremely popular since its launch with celebrities and viewers alike. It’s popularity has surprised many, similar to BBC’s Strictly Come Dancing. And they have a great viewer comp. Beyond the celebrity talent contest Dancing on Ice always have a fantastic viewer competition whereby fans can enter to win a massive prize. We’ll post them here as soon as they are announced, alongside a couple of other popular TV competitions. Presented by epic TV duo Christine Bleakley and Phillip Schofield alongside ice skating legends Torvill & Dean, the show was an instant hit with the UK public and is one of the few itv shows to have maintained fairly consistent ratings across a number of years; five years after it’s launch, itv’s Dancing on Ice competition gained its largest number of viewers – extremely unusual with these types of reality TV shows. Previous for viewers Dancing on Ice competition prizes have included holidays to New York, Iceland and Dubai along with a cash prize and tickets to see the live Dancing On Ice show. Like many itv competitions, you can enter multiple times via sms, phone, post or the itv.com/win or stv.tv online entry forms – we’ll keep you right & let you what the deadlines are and how to enter. Below are a few other recent TV competitions. In typical itv competitions format, entering the Dancing on Ice competition involves entering a straight-forward prize draw with no question (previously there used to be a multiple choice question) and submitting your entry via sms text message, telephone call, online or post. Viewers can enter the competition multiple times per phone number, however this is subject to change and the terms and conditions for each individual competition should be consulted on itv.com /win or stv.tv / win. As usual, you need to be over 18 to enter and you must provide your real name. The Dancing On Ice show takes a similar format to other itv talent based reality shows such as X Factor, to win the competition, contestants first compete for votes from the panel of judges – in Dancing on Ice, this panel is known as the “Ice Panel”. Due to the dangerous nature of figure skating, celebrity contestants are paired with a professional ice skater with whom they perform for the duration of the show. The contestants are then coached throughout the series by Jayne Torvill & Christopher Dean along with their professional partner. Males are paired with a female, and females with males (although I wouldn’t be surprised if we see a male-male or even a female-female pairing at some point in the future!). Every show, each couple complete their dancing routine (which must contain a number of pre-decided professional ice skating moves) and the judges place their vote, creating a leaderboard of contestants based on their performance. There is then a television skate-off between those with the lowest scores and a combination of public votes and the ice panel decide who wins the skate off and stays…& who looses. The looser then leaves the Dancing on Ice competition and the format continues to the semi-final. Full details available on the wiki. Actors and actresses seem to top the leader board of Dancing On Ice winners over previous years, however the biggest surprise in many ways was in 2007 (series 2 ) when Rugby Union star Kyran Bracken went on to win the Dancing on Ice competition and be crowned champion. Conversely, football superstar Graeme Le Saux was first leave the competition in 2009 (series 4). Just goes to show how these macho men can compete & gain respect for a sport in which many men (& especially boys) can feel threatened and bullied. Another amazing example of a male Dancing On Ice contestant is Johnson Beharry, an army soldier who was awarded the Victoria Cross for bravery. Suffering serious head injuries during service, Johnson made it to the Dancing On Ice semi-finals on 2011. Beyond the main itv show there were a number of extras and spin offs; Dancing on Ice Defrosted and Dancing on Ice Exclusive. Many viewers of Dancing on Ice also love “Strictly Come Dancing”; a dancing competition which airs on BBC and has also seen growing ratings since it was first broadcast. Pamala Anderson is tipped to be a contestant in the 2013 Dancing on Ice show! So be sure to check back regularly; we post the viewer Dancing on Ice competition question, answer and link on the itv competitions website as soon as it is announced!